their October 9 World Cup qualifier against Zambia in Ndola. pole position for the automatic ticket in the group. September in a 2017 AFCON qualifier. Alex Iwobi, Brown Ideye and Elderson Echiejile. Daniel, Ikechukwu Ezenwa and Jamiu Alimi. 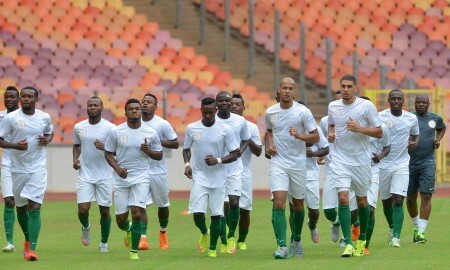 Saturday and Leon Balogun for the Zambia tie on October 9.